Throwback Deity Wedding! Celebrating our 10 yr Anniversary. 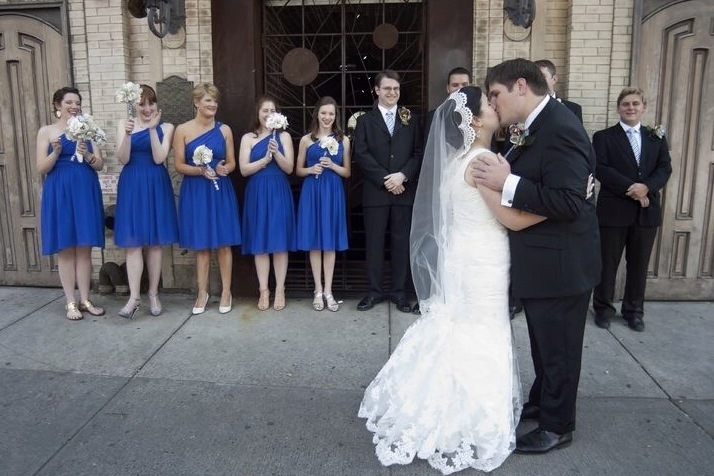 Two-Weeks before the Biggest Day of their lives, One Brooklyn Couple, along with countless others, learned that they had No Wedding Venue. Not only had the Venue shut down without warning, the Owner had run with Uncalculated amounts of Payments and Deposits. 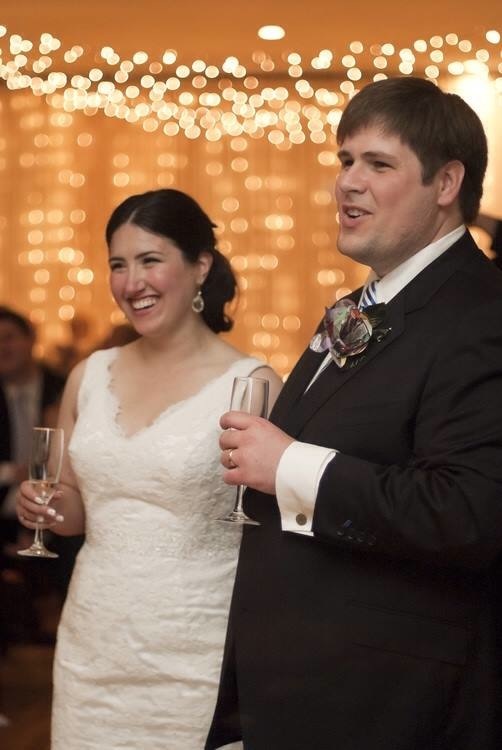 Despite this unexpected setback, with a great Spirit and the help of family and friends, Julie & Chris were able to ReBook their Wedding and keep their Date. So at Deity Wedding Venue a little further down the road but still in Brooklyn, the Big Day came quickly. 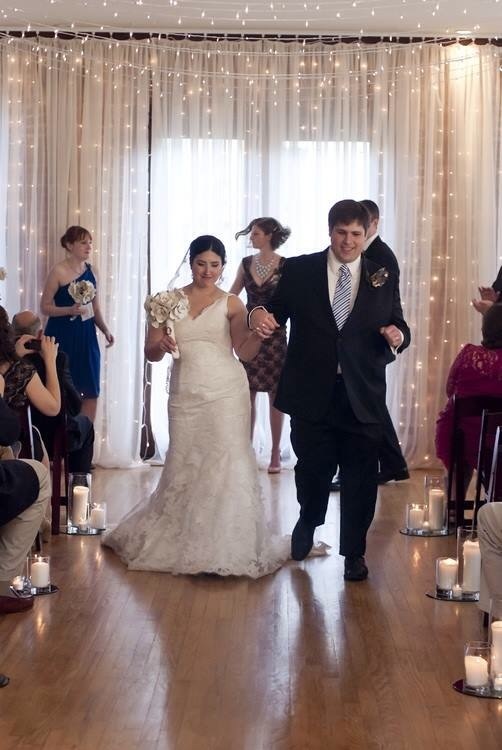 The Energy of the Wedding was of a Great Celebration, highlighted by the Fun and Quirky Style of the Bride and Groom. 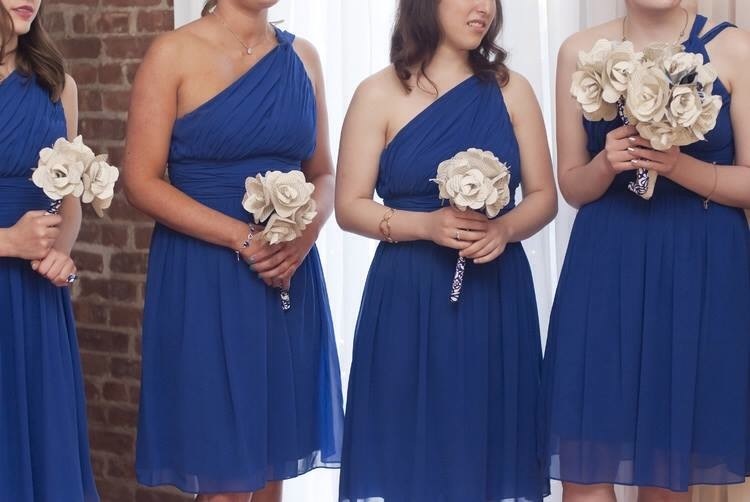 Gorgeous Cerulean Blue Bridesmaids Dresses with Paper Bouquets. 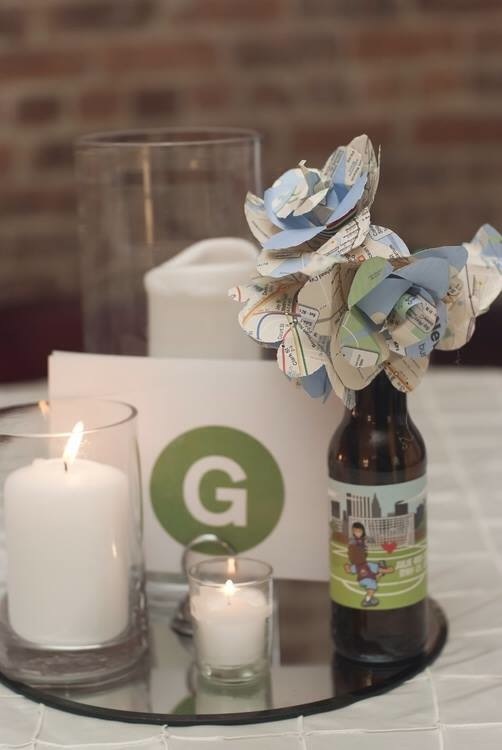 Subway Themed Tablescapes and Personalized Beer Bottles. 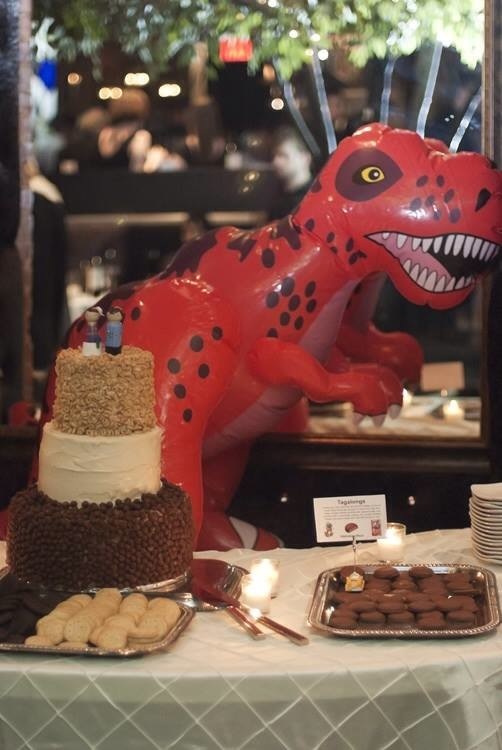 Finished off with Dinosaur Decor for a Cake made of Coco Puffs, Cheerios, and other Favorite Childhood Treats. 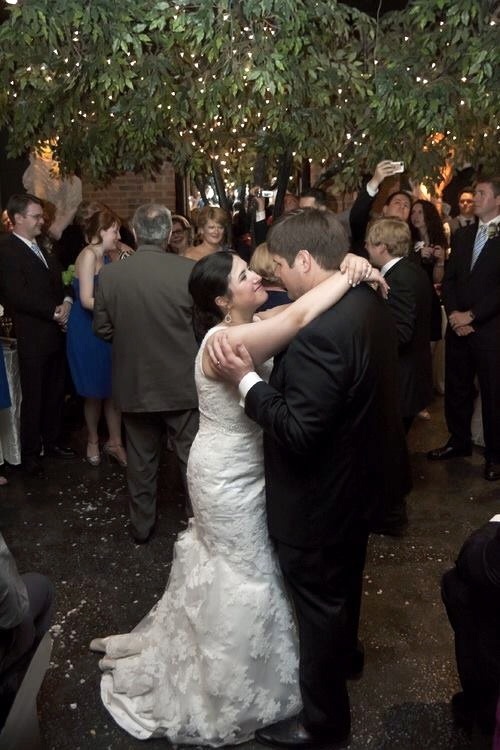 In the End, the Bride said “We had a better wedding than we would have at Rebar.” Love had Indeed Conquered All! My fiancé and I were left stranded when the owner of our original venue, reBar, shut the doors (with our money) two weeks before our wedding. Someone mentioned Deity so that weekend, we went to go look at it. The space itself is impressive. Caio and Kristine have done an amazing job keeping the feeling of the building but making it more up to date and modern. I loved it but obviously, having lost so much money, we were hesitant. Caio and Christine told us they would do anything they could to help us. We had our wedding there on Sunday and every single person has talked about how awesome everything was. DJ Trauma kept the party going, the food was stellar (not just wedding good, it was actually delicious and we’re still craving the lobster rolls) and the staff was amazing. Jay, the events manager and the bouncer bonded with our friends over the course of the night.